United Electronic Industries announced the release of the DNx-TC-378 8-Channel Thermocouple Simulator board and the DNx-RTD-388 8-Channel RTD Simulator board. WALPOLE, MA, USA, February 19, 2019 /EINPresswire.com/ -- United Electronic Industries (UEI) today announced the release of the DNx-TC-378 8-Channel Thermocouple Simulator board and the DNx-RTD-388 8-Channel RTD Simulator board. Both the boards are compatible with all of UEI’s popular “Cube”, RACKtangle® and FLATRACK I/O chassis and further complement UEI’s extensive simulator output offerings which include RVDT/LVDT, Synchro/Resolver and Strain Gage boards. All boards are covered by UEI’s 10-Year Availability Guarantee to ensure long-term success in your applications. The DNx-TC-378 is a high-precision thermocouple (TC) simulator offering16-bit resolution and offers better than 0.6°C accuracy with most thermocouple types. Each channel is fully isolated from all others and is capable of simulating the full TC range. Built in support for J, K, T, E, N, R, and S type TC is included. The board provides cold-junction compensation so field connections can be made wherever required. The board will simulate an open TC and includes voltage and current diagnostic readback on each channel. The DNx-RTD-388 simulates 1000Ω RTDs and is based on actual switched resistors, precisely duplicating the behavior of actual RTDs. The board supports 2, 3 and 4-wire configurations with accuracy of 0.26°C (1Ω). The board is an ideal solution for simulator / SIL applications where an on-board device expects an RTD as an input. Both open and short circuit conditions are simulated. The board also has built in diagnostic current monitoring capability. 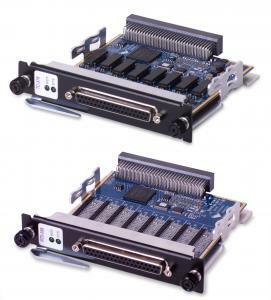 The board is an ideal solution for simulator / SIL applications where an on-board device expects an RTD as an input. The RTD-388 series simulates a 1000 Ω RTD while the standard DNx-RTD-388-100 simulates 100Ω RTDs. Other resistance versions are available on a special-order basis. Pricing starts at $1,600 for the DNx-TC-378 and $3,000 for the DNx-RTD-388. Call 508-921-4600 or email sales@ueidaq.com for delivery options. United Electronic Industries (UEI) collects real-world data for Aerospace, Energy, Transportation and Defense industries so our customers can build smart systems that are reliable, flexible and rugged.